Medicine is on its way to becoming one of leading areas in IT in the next few years. The global telemedicine technologies market, including hardware, software, and services, already reached the value of $17.8 billion in 2014 and is predicted to grow at a compound annual growth rate of 18.4% from 2014 to 2020. As the Western society is getting older, there is no wonder that there is a market niche for many innovative healthcare devices. One of such devices, SiDLYCare, became a very interesting challenge we were glad to be able to take. Here’s a case study of a mobile app project we conducted together with the SiDLYCare team – from the great idea and a healthcare wearable device to the analysys, development, and implementation of a mobile application. SiDLYCare team came to Ready4S with a great challenge. They wanted to make caring for your elderly close ones possible anywhere and anytime and they were sure it is possible to create a device which will embody their motto “There is no distance in care”. The solution they presented was a SiDLYCare Band – a medical wearable wristband which monitors key parameters of a human body and notifies caregivers if something unusual happens to their loved ones. This professional, certified medical device is intended for individuals who would like to care for their family members despite the distance. The idea was great. What the SiDLYCare team lacked, however, was a mobile application which will make it easy for caregivers to check the data and intervene if anything unusual happens to the patient. And that’s where Ready4S came in. We had to make a very reliable and stable application, which at the same time will be very user-friendly and not overcomplicated. We began the SiDLYCare challenge with analysing the product deeply to get the full understanding of our client’s needs. As you could see above, the device has numerous functions and as the health condition can change very quickly, there was a strong need to predict all possible scenarios that may occur. On this account, we decided that extremely close cooperation with the SiDLYCare team was crucial. We used an Agile approach to make sure that the clients get exactly what they need. We have also conducted numerous tests in order to be sure that the healthcare device is safe and dependable – inevitable attributes of any medicine device. 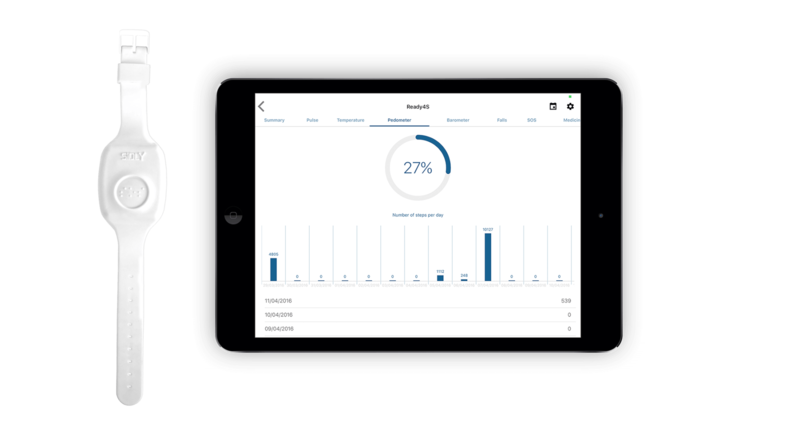 The final outcome of the SiDLYCare app was very satisfactory both for our developers and the client. 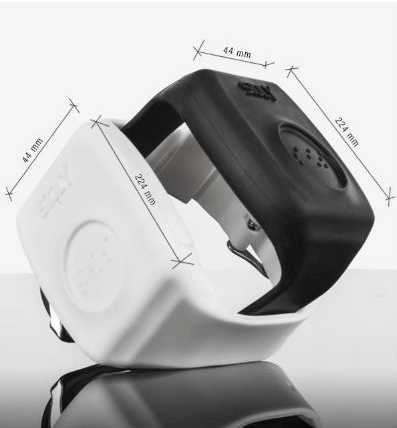 The device connects with the wearable Sidly Care Band at any time, thanks to attached SIM card. It can remotely check patient’s health and monitors his life parametres and gathers data on patient’s health which makes doctor’s work much easier. The band also sends an immediate notification to the app in caregiver’s phone when the patient presses the SOS button. Additionally, the app was carefully optimized so that it doesn’t consume much battery and is very easy and intuitive to use. The data are presented in a clear and transparent way which makes it easy to use not only by doctors, who are familiarized with health data, but also for common members of patient’s family who take care of him. The product was launched in 2014 and quickly became popular, being appreciated both by users and the market. With more than 25 awards received, the device is not only the leader on telemedicine market in Poland but also one of the most promising start-ups in CEE.